Our easy-to-use online reservation service gives you control over your vehicle purchase, enabling you to customise your deal at your own pace, wherever you are, in five simple stages. Browse the current range of vehicles we have in stock on our website and once you have found the one that's right for you, click the 'Reserve' button to begin configuring your deal. If you have a vehicle to part exchange, enter its registration number and our system will conduct a DVLA look up to find it. Simply tell us about its condition and mileage and we will give you an accurate valuation in seconds. 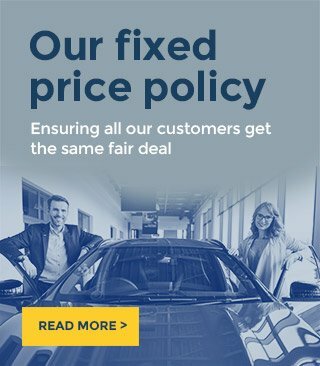 We offer a selection of optional extras for you to choose from, which you can add to your deal in order to enhance or protect your new investment. If you would like to purchase your vehicle on finance, our handy sliders enable you to adjust your contract length and deposit value so that the monthly repayments will accommodate your budget. Once you have customised your finance deal, you will receive a fast decision on your application. Review your personalised deal and leave a reservation fee online. We will then be in touch to arrange the collection and complete your purchase.